Emilia Wickstead started her brand to create elegant clothes for clients to wear to a host of social engagements, so you'll always find feminine designs like this skirt in the label's collections. 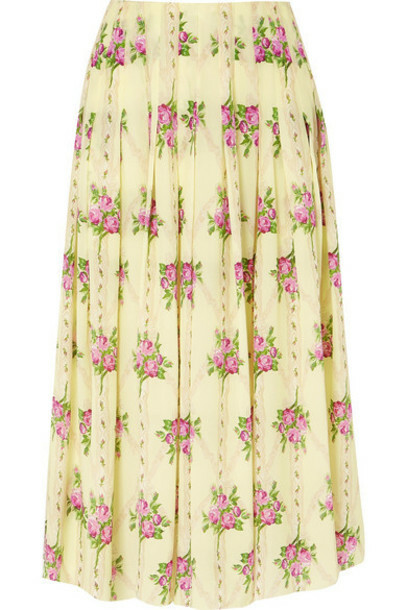 It's made from breezy silk crepe de chine that's pleated to enhance the fluidity and patterned with painterly roses. Wear it with the matching shirt and strappy sandals to a spring wedding.